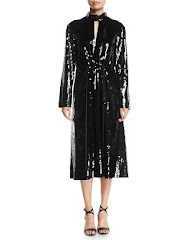 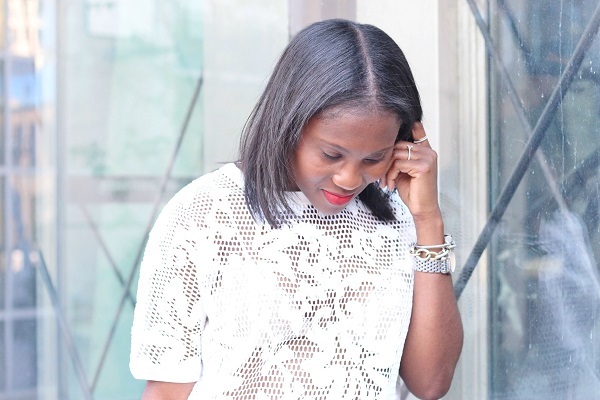 As my love for lace slowly grows, I stumbled upon this cool top, which also comes in a dress version here, and immediately saw the endless possibilities of how it could be styled. 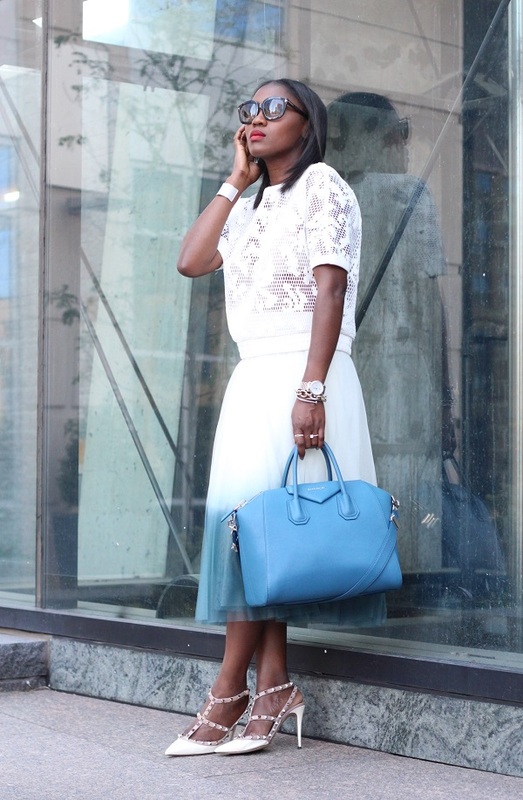 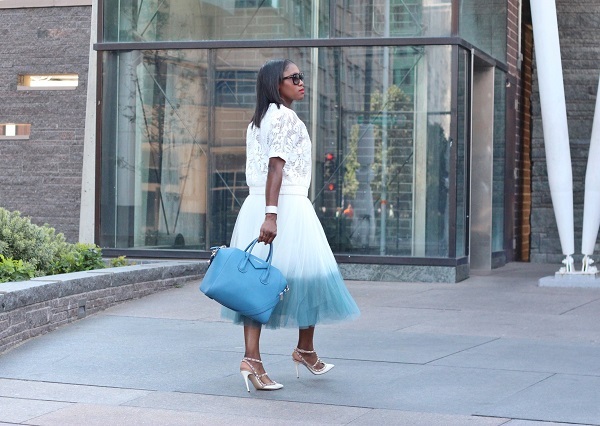 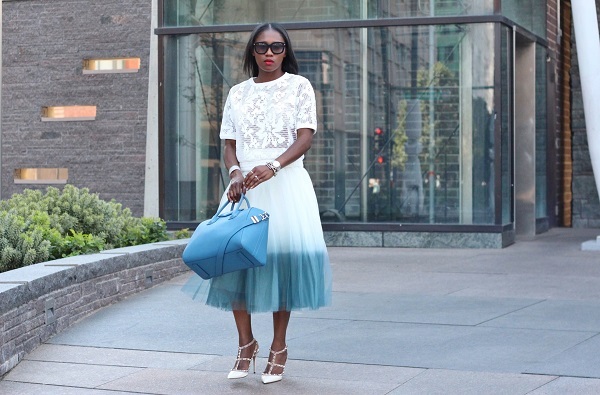 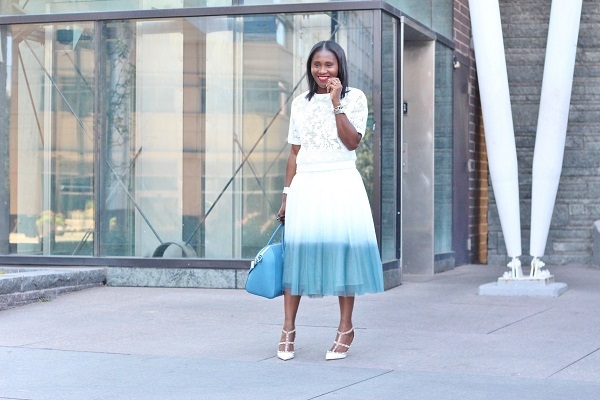 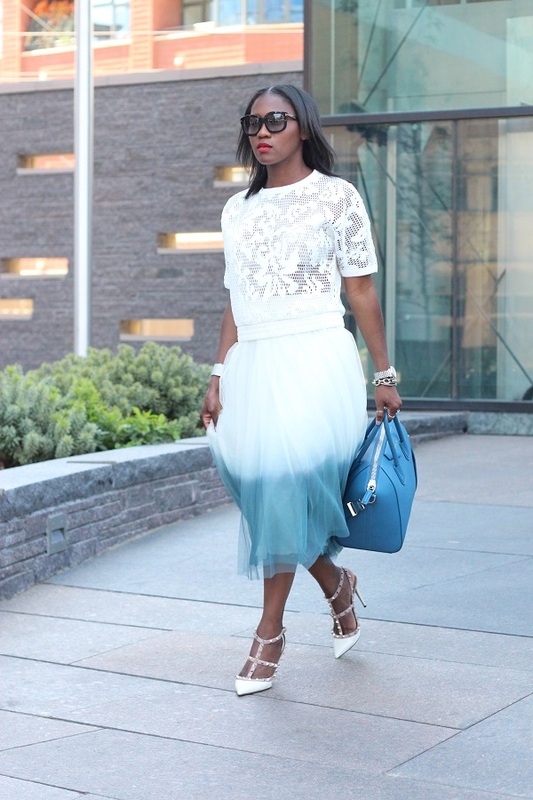 Today I opted for a dipped white and blue tulle skirt as the perfect companion. 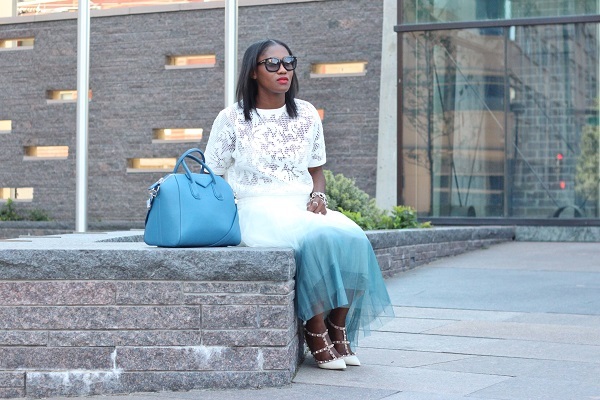 Since my look is all white and blue, I broke the pattern by paring the black eye wear.